Inactive Patient history is never deleted and always remains accessible. To access these records, select the Inactive patient from the Patient Listing form by selecting the Inactive radio button. Select and click Patient or double click the patient record. 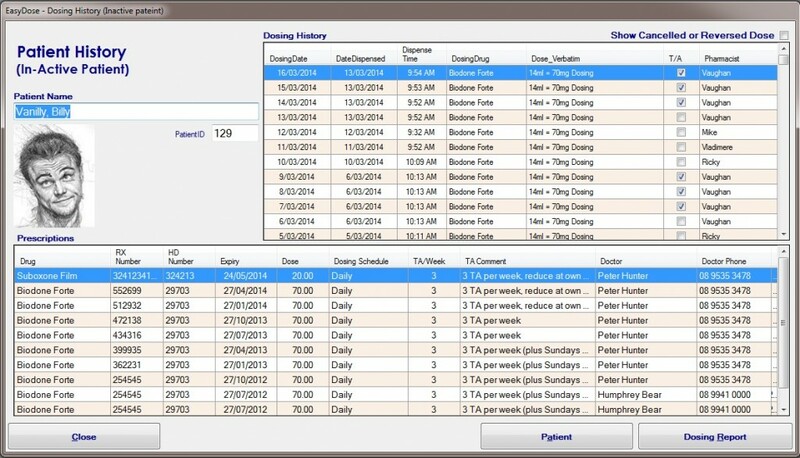 Click on the doing button and the basic dosing and prescription records will be displayed.